Soon to be a major film starring Robert Pattinson, Charlie Hunnam and Sienna Miller. Colonel Percy Harrison Fawcett, the inspiration behind Conan Doyle’s novel The Lost World , was among the last of a legendary breed of British explorers. For years he explored the Amazon and came to believe that its jungle concealed a large, complex civilization, like El Dorado. 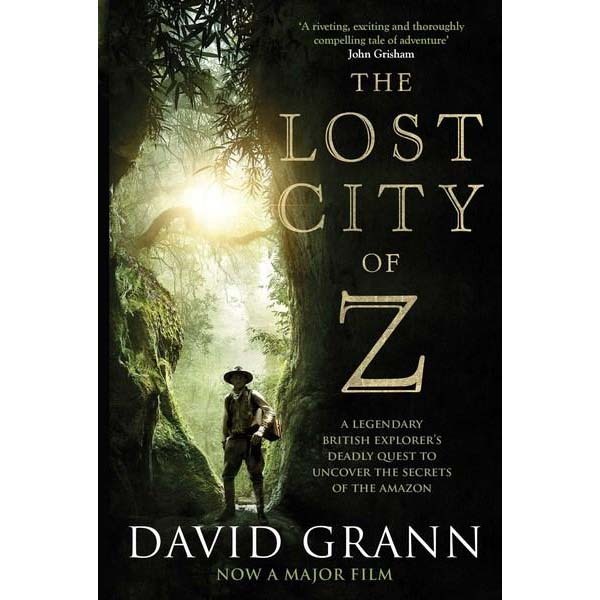 Obsessed with its discovery, he christened it the City of Z. In 1925, Fawcett headed into the wilderness with his son Jack, vowing to make history. They vanished without a trace. For the next eighty years, hordes of explorers plunged into the jungle, trying to find evidence of Fawcett’s party or Z. Some died from disease and starvation; others simply disappeared. In this spellbinding true tale of lethal obsession, David Grann retraces the footsteps of Fawcett and his followers as he unravels one of the greatest mysteries of exploration.